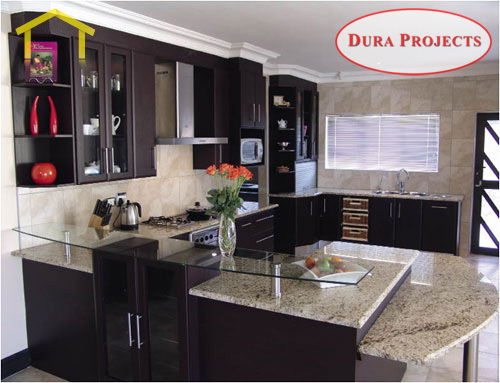 Dura Projects is a manufacturer of fine quality custom cabinetry, based in Polokwane. 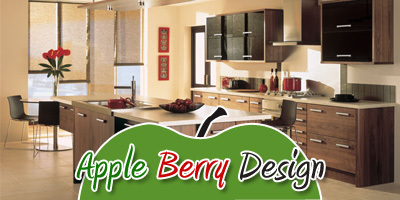 We manufacture everything from custom kitchen cabinets, custom bath cabinets, built home offices and shop fittings. 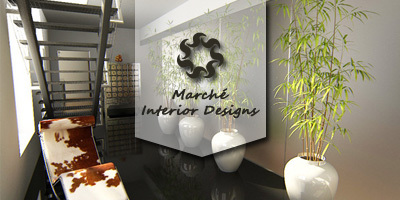 Specializing in bathrooms, kitchens and interior decor. 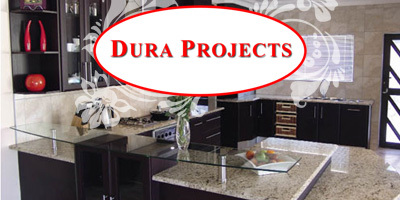 We specialize in bedroom, bathroom, interior and Kitchen Units. 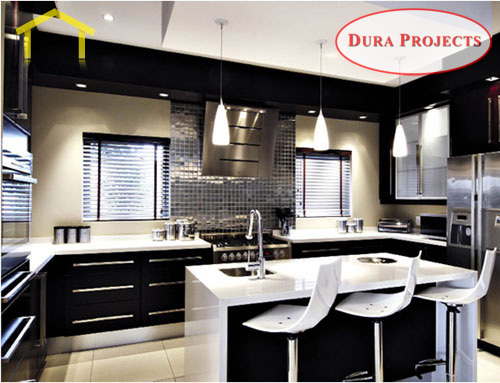 If you have high ceilings, choose kitchen cupboards that go all they way to the ceiling. They offer far more storage, and will enable you to use the extra wall space for open shelving or even artwork. There are lots of options that can be considered to remove the dullness of a flat, ceiling area. 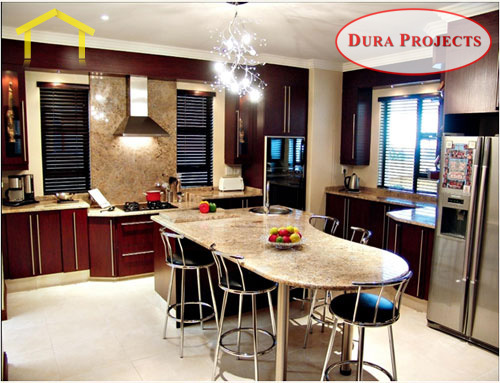 Put a bulkhead section over selected areas of the kitchen to create a multi-level appearance. 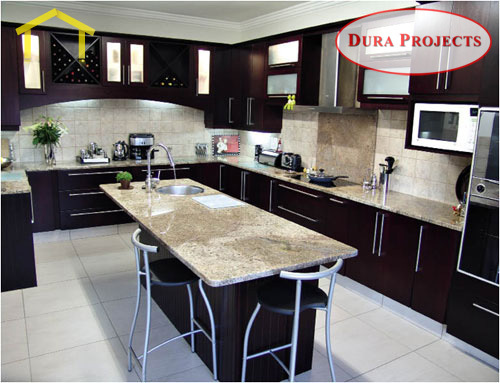 Kitchen decor and design accents such as pediments over stoves and plaster mouldings on cupboard door fronts can represent decorative excess. Always match the style of your kitchen with the rest of your home decor.